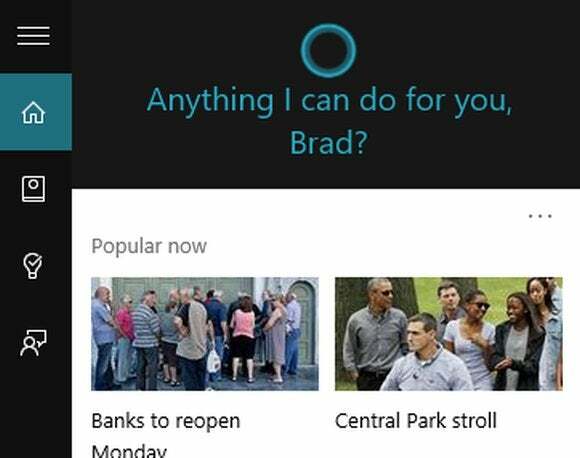 Following the launch of Windows 10, Microsoft's virtual assistant will be available in a bunch more countries. Microsoft’s virtual assistant Cortana is packing her bags and heading for new countries after the launch of Windows 10. The company announced that members of the Windows Insider Program in Japan and Australia will get access to the assistant through Windows 10 “in the coming months” along with English language users in Canada and India. Later this year, Cortana will be made available to Insider Program members in Brazil and Mexico, and French-speaking users in Canada. Users in the U.S., U.K., China, France, Germany, Italy and Spain will have access to Cortana when Windows 10 launches on July 29. Cortana Group Program Manager Marcus Ash said in a blog post that it takes time for Microsoft to migrate its virtual assistant to new countries in part because the company tweaks its behavior for what it says are the preferences of the audience in each country. Case in point: Cortana provides air quality data front and center to Chinese users, “bows” to Japanese users and uses irony and sarcasm with Brits. Users in each country get regionally-tuned answers to common queries like “tell me a joke” and “tell me a story.” In addition to tweaking its personality to fit local culture, Microsoft also trains the service to recognize local language dialects so that Cortana will have a better chance of successfully understanding what someone says. The news comes roughly a week ahead of Microsoft’s launch of Windows 10 on July 29. Cortana’s presence on the desktop is one of the key new features of Microsoft’s soon-to-be-released operating system. Cortana is part of the company’s plan to use machine learning to give users information they need without having to search for or request it. That sort of predictive help could encourage people to upgrade their systems to Windows 10.